Dr. Nnake Nweke is the Chief Risk Officer at the U.S. Agency for Global Media (formerly named the Broadcasting Board of Governors), an independent federal government agency that oversees all civilian U.S. international broadcasting. He previously served as the Director of the Office of Internet Freedom, also at the USAGM, where he was the principal technical advisor to the USAGM Board, the CEO, and USAGM's five networks – the Voice of America, Office of Cuba Broadcasting, Radio Free Europe/Radio Liberty, Radio Free Asia and the Middle East Broadcasting Networks – on technological and innovative efforts to circumvent Internet censorship and promote effective cybersecurity practices around the world, and also provided briefings to Members of the U.S. Congress on these activities. Earlier he served as a branch chief in the Office of Engineering and Technology at the Federal Communications Commission (FCC). He also worked as a senior engineer in the Public Safety and Homeland Security Bureau of the FCCs Cybersecurity and Communications Reliability Division, as well as a senior staff member of the Johns Hopkins University Applied Physics Laboratory, a research engineer at the National Security Agency, and a Technical Specialist for a Washington, D.C. law firm. Dr. Nweke is the founder of the Science and Technology Policy Center for Development, an organization whose mission is to advance knowledge and assist in the development and implementation of robust, comprehensive science and technology policies that achieve sustained economic growth in developing nations, particularly in Africa. 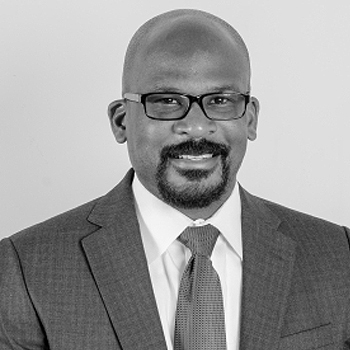 Dr. Nweke has a Ph.D. in Electrical Engineering from Johns Hopkins University and a law degree from the University of Maryland School of Law. He has earned a series of professional honors, including the Meritorious Award from the FCC’s Public Safety and Homeland Security Bureau in recognition of his outstanding contributions to enhance the security of the United States communications network infrastructure.